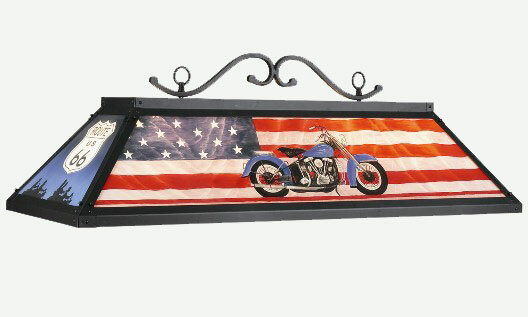 This beautiful all glass pool table light fixture pays homage to the great American Chopper. It is reverse hand painted and the interior is sprayed white for luminescence. If you have a love of the wide open road then this exquisitely detailed light will get your engine revving.